In the heart of the dramatic Himalayan mountain range lies Nepal, a country full of vibrant colors, rich traditions, and a difficult past. A former monarchy, after 6 years of Civil War, Nepal finally became a democratic nation back in 2006. Since then, the country has been rapidly modernizing while trying to keep its Hindu and Buddhist religious traditions alive. One longstanding issue in the region, however, is the caste system. And every day, people born into the lowest caste are doomed to live a life of poverty with little to no opportunities. 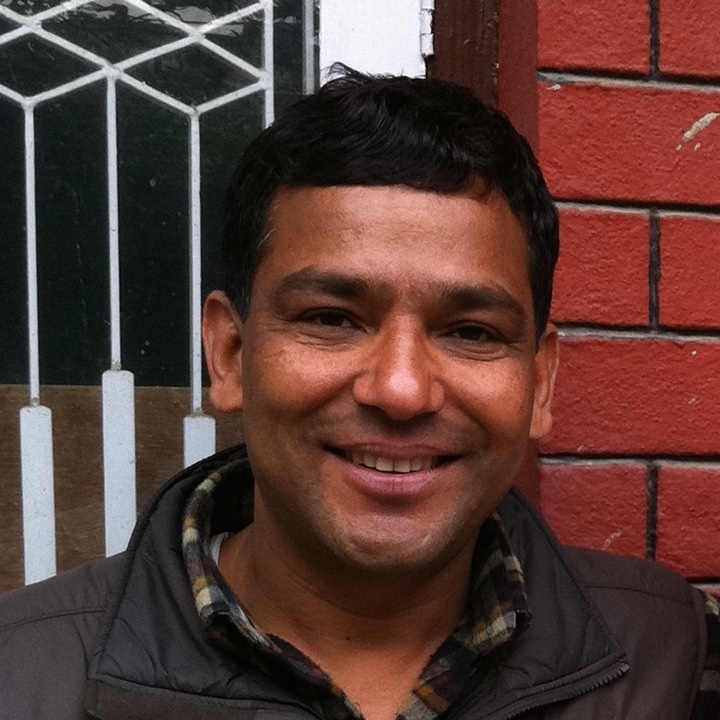 Neha is a young woman who was born into this caste. For many years, she has been helping her family run their convenience stall. It is her dream to go to nursing school. 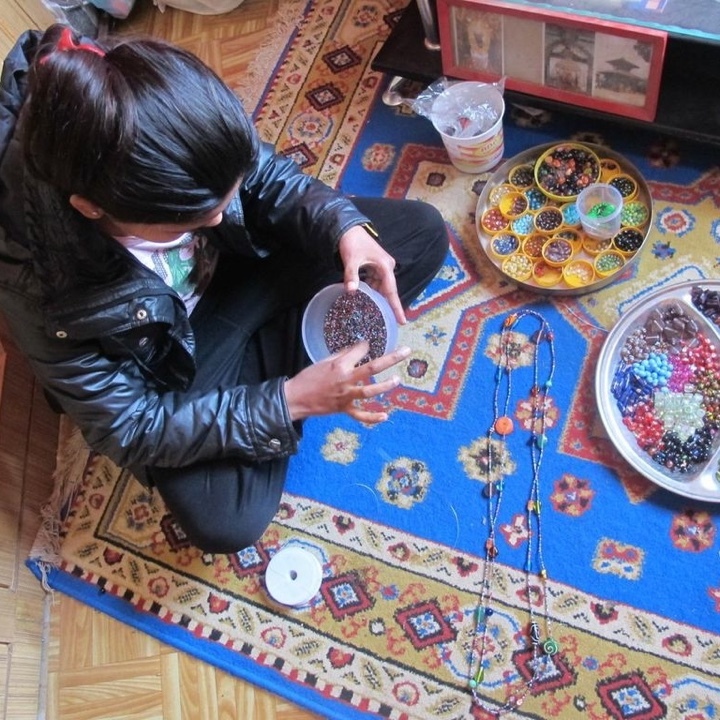 Since her family cannot afford to pay for her schooling fees, she has started making necklaces to save money. This beautiful necklace, our ‘Neha Necklace’, is one of her creations. Kanti Goods is proud to support Neha in her efforts to make her dreams come true. 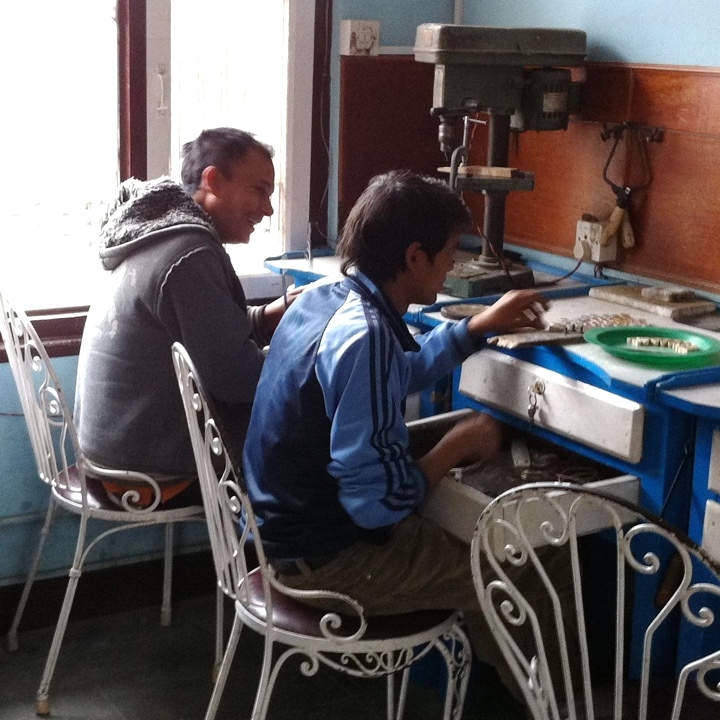 Years ago Dambar started as an independent silversmith. He was helped by a Dutchman who had encountered him by chance. This man, decided to give Dambar a helping hand because Dambar suffered from the disease TB. In the Netherlands this would not be a life threatening disease, but in a country like Nepal it is not easy to get medication for this. The doctors said that there was no hope if Dambar could not buy this medicine. The Dutchman raised the money and helped Dambar to get well. But according to the beautiful proverb “Give a man a fish, he can eat. Give someone a fishing rod, he can learn to fish.“ They decided that Dambar had to learn to support himself. He learned the trade of silversmith and started a small workshop.